The Northern Patriots in Research and Advocacy (NORPRA), a Civil Society Organization (CSO) working to promote sustainable mining and socio-economic transformation of northern Ghana is very much worried and raises critical concerns over the likely implications of alleged ex-convicts’ operations on security, peace and stability in the Talensi mining community in the Upper East Region of Ghana, a very unique area where both small scale and large scale mining companies are allowed to operate. NORPRA is by this statement, therefore, calling on the government to, as a matter of urgency, probe into the matter and save the mining community from the likely influence of these persons alleged to have been convicted by Courts of competent jurisdiction on crimes of hard drugs and many more others. It is common knowledge that the purpose of mining is to make a significant contribution to the socio-economic development of communities and the country. Regrettably, the Talensi mining community has, in the past and present, witnessed a number of criminal activities and violent actions resulting in loss of precious lives and valuable property. As if under the influence of hard drugs, some individuals and groups in the mining community have, on countless occasions, minced no words in publicly announcing their preparedness to cause mayhem through acts of militancy and war if certain demands, whether lawful or unlawful are not met. These are of course early warning signals of a looming danger which certainly raises security concerns and defeats the purpose of mining being development. Allowing criminals including drug barons in the area as mining operators will undoubtedly fuel and exacerbate the volatile situation. In the light of the above context, NORPRA which has over the years worked with key stakeholders to contribute to the relative peace in the Talensi Mining Community is probably the most worried Civil Society Organization to have read from a cross section of the media of a large scale mining company operating in the area with some of its Directors and Shareholders being alleged ex-convicts with crimes bordering on narcotic drugs among others. The name, Radwin Elhassan whose case started 5th Feb 2003 to 21st May, 2003 was convicted by the supreme court of New South Wales for possession of 28 kgs of narcotic drugs, cocaine to be specific. He made an appeal against his conviction but the learned Judge did not only dismiss the appeal but also went a step further to describe his previous sentence as manifestly inadequate. The fourth name, Jeffrey Braysich is found to have been convicted on 25 counts after a long-running investigation by the Australian Securities & Investments Commission. In a cross-check, NORPRA established that as at 10th May, 2016 these very names of Australian nationals were the same names that appeared in official records of the Registrar-General Department of Ghana as Directors of Cassius Mining Ltd. Surprisingly, our latest check dated 5th of March, 2019 showed that some of these names have been replaced as Directors and made Shareholders of Cassius Mining Ltd. 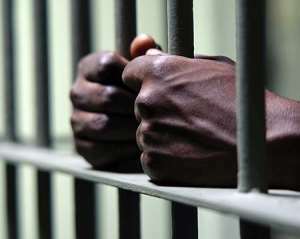 In an effort to draw a link and establish the legality or otherwise of these conducts by the alleged ex-convicts within the confines of the Ghanaian law, NORPRA noted that the laws of Ghana do not allow ex-convicts and fraudulent persons to run companies. As a matter of fact, Section 186 of the Companies Act 1963, Act 179 restrains fraudulent persons from managing companies. The Section specifically restrains an individual from managing a company if that individual (a) is convicted on indictment, whether in Ghana or elsewhere, of any offence involving fraud or dishonesty or any offence in connection with the promotion, formation or management of a body corporate, or (b) a person is adjudicated bankrupt whether in Ghana or elsewhere, or (c) it appears that a person has been guilty of any criminal offence, whether convicted or not, in relation to anybody corporate or of any fraud or breach of duty in relation to a body corporate. Apart from the impermissibility imposed by law, research has also clearly established that there is a positive correlation between drug use and crime, therefore the probability of turning the mining community into a safe haven for drug barons with possible effects on society such as crime, insecurity, and violence is undoubtedly very high. Establish whether or not these Australian names with reported criminal records are the real persons that had their names registered as Directors and Shareholders of Cassius Mining Ltd in Ghana. In conclusion, we wish to assure our government of NORPRA’s availability to assist any institution in these investigations.